^ 5.0 5.1 From British Colonization to Japanese Invasion (PDF). HKIA Journal. 2006, 45: 46. （原始内容 (PDF)存档于2012-02-18）. ^ Hong Kong Legislative Council Meeting Minutes (PDF). 1902-12-04. 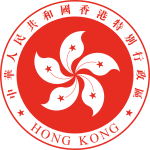 ^ Hong Kong Legislative Council Meeting Minutes (PDF). 1921-01-13. ^ 10.0 10.1 10.2 Hong Kong Legislative Council Meeting Minutes. ^ Hong Kong Legislative Council Meeting Minutes (PDF). 1941-10-09. ^ Hong Kong Legislative Council Meeting Minutes (PDF). 1946-06-20. ^ Supplement to the London Gazette (PDF). 1949-01-01. ^ Hong Kong Legislative Council Meeting Minutes (PDF). 1952-01-09.